Here is a twist on a summertime favorite – Caprese Salad. When tomatoes are ripe and delicious, I can eat them every day, topped with fresh mozzarella and spicy basil drizzled with balsamic vinaigrette. There is a reason that the Caprese is so popular. The flavors are perfect companions, but I’m not always in the mood for a salad. So I’ve taken the traditional caprese salad, added thinly sliced eggplant , drizzled with an herby balsamic vinaigrette and roasted it in a hot oven to golden deliciousness. I was not disappointed and neither was my husband, who ate more than half of it, going back three times for more. TIPS: If you still end up with extra liquid during cooking in spite of your valiant efforts to salt the eggplant, you can remove some of the liquid with a turkey baster. Don’t remove too much though because you don’t want everything to dry out. Another option would be to layer everything over a bed of tomato sauce which will incorporate excess liquid. In case you’re wondering, those little leaves are Basil Fine Verde (or Fino Verde) which I am growing in containers on my porch here in Maine. 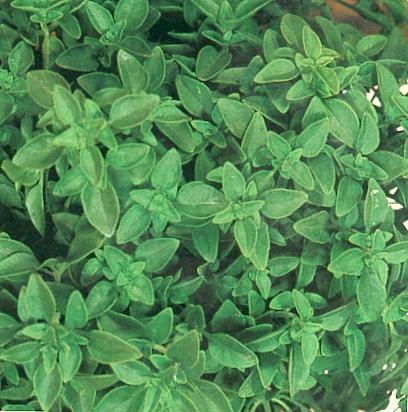 This kind of basil is sweet and spicy and has small leaves which don’t need to be chopped which is kind of nice. Slice eggplant into 1/4 inch rounds, place them in a single layer on papertowels and sprinkle salt liberally over them to draw out the excess water. Let sit for about 15 minutes, replace the papertowels and salt the other side for another 15 minutes. Then wipe off excess salt and water droplets and place in a large bowl. 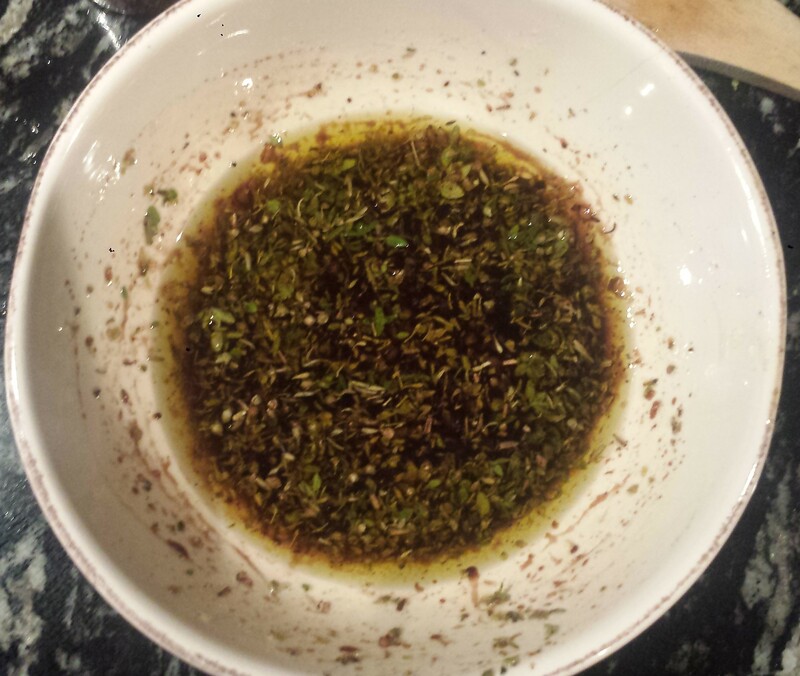 Combine olive oil, vinegar, garlic and seasonings in a small bowl. 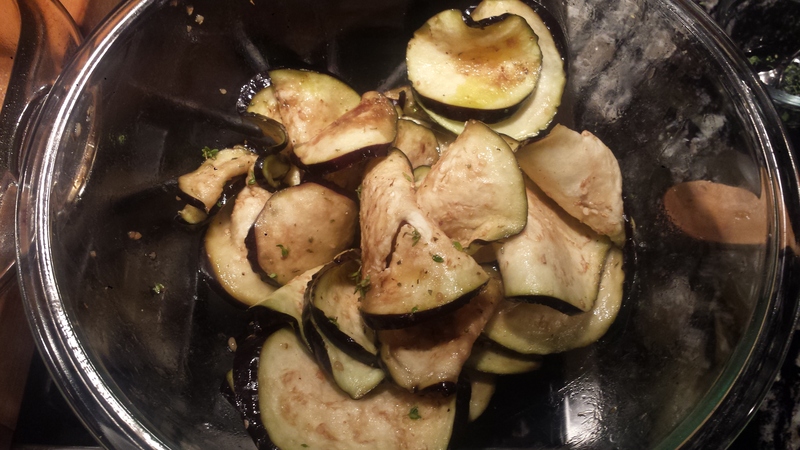 Pour half of the mixture over the eggplant slices and gently stir until all the pieces are coated. 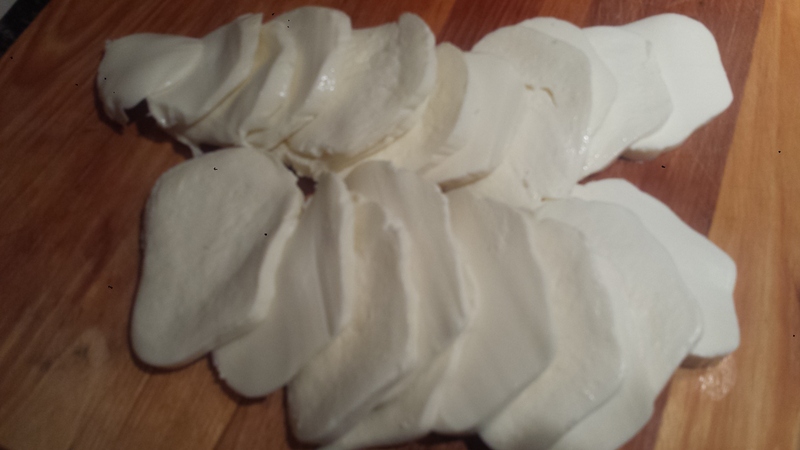 Slice mozzarella into 1/4 inch rounds. Oil a baking dish and start arranging the slices into two rows, if using a rectangular baking dish, or in circles if using a round baking dish. 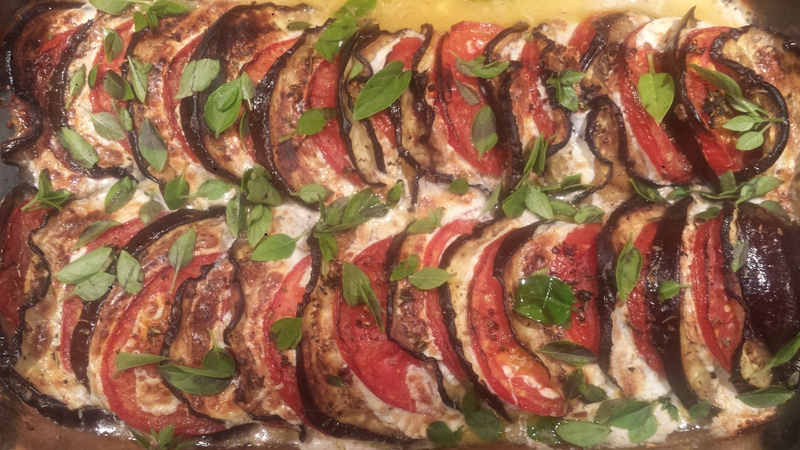 Alternate eggplant slices with mozzarella and tomato. 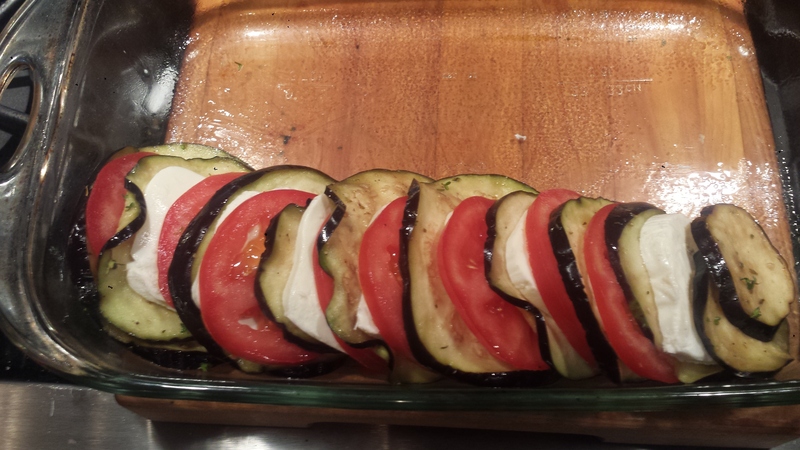 If you have very small eggplant or tomato slices, use two. Complete second row until eggplant and tomatoes are used up. Drizzle the rest of the marinade over the top taking care to get the tomato slices. Bake 25-30 minutes at 450. Turn oven to broil for about 10 minutes, or until tops are browned. Oil a baking dish and start arranging the slices into two rows, if using a rectangular baking dish, or in circles if using a round baking dish. 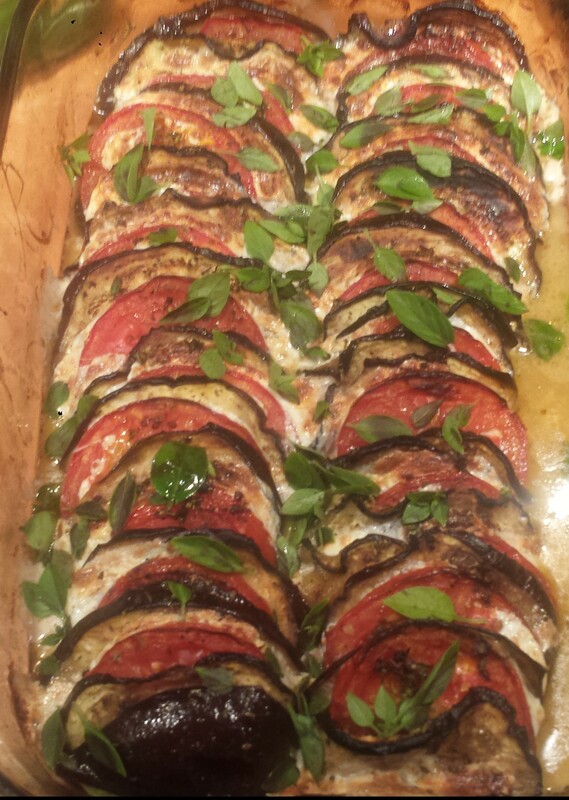 Alternate eggplant slices with mozzarella and tomato. 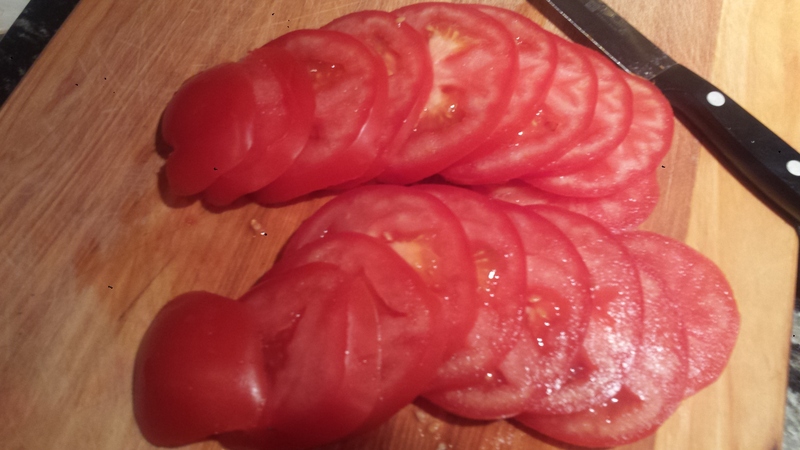 If you have very small eggplant or tomato slices, use two. Complete second row until eggplant and tomato is used up. Drizzle the rest of the marinade over the top taking care to get the tomato slices. Bake 30 minutes at 400. Turn oven to broil for 10 to 15 minutes, or until tops are browned. 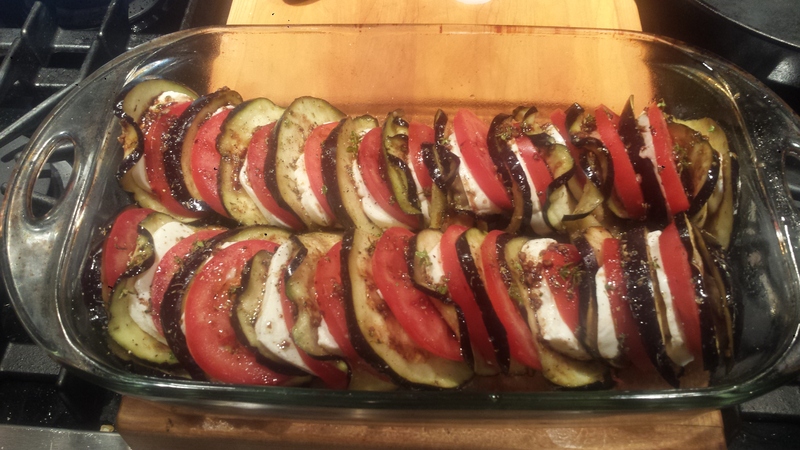 This entry was posted in All Recipes, vegetarian, Wheatless Wednesday and tagged Caprese, Eggplant Casserole, Eggplant Tomato Casserole, gluten free, Roasted Caprese, Roasted Eggplant Caprese, Roasted Eggplant with Tomatoes and Mozzarella, vegetarian, Wheat Free, Wheatless Wednesday. Bookmark the permalink. This looks so pretty! It would be perfect to serve for company. Thank you Ashley! I enjoyed checking out your blog. Joyce. Do not think my message went through. 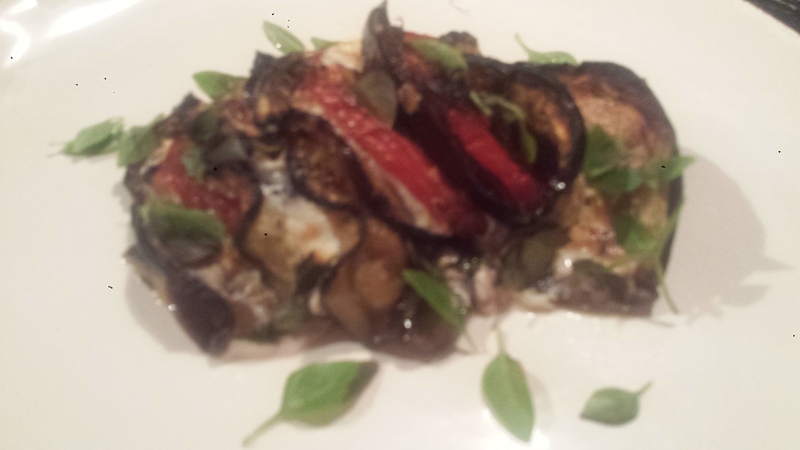 If it did, I will be repeating that I loved eggplant recipe. Hope to try it in cooler weather. Wishing you & Jackson safe trip to L A. & much good luck. Look forward to hearing all about this adventure when you return.